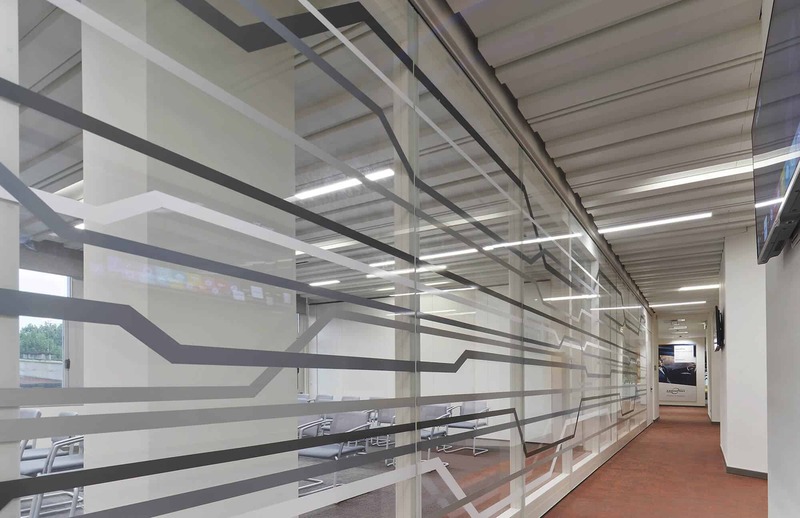 Innovation, Cooperation, Flexibility, Experience and Efficiency are the keywords behind the design process implemented by Progetto CMR team, from the first steps to its conclusion. 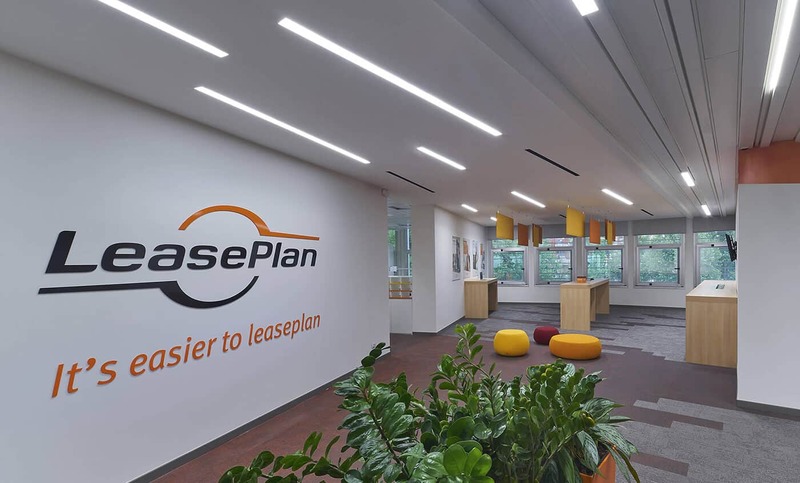 In just three months, the location has been transformed into a space with a strong and fresh image, fully in line with LeasePlan brand. 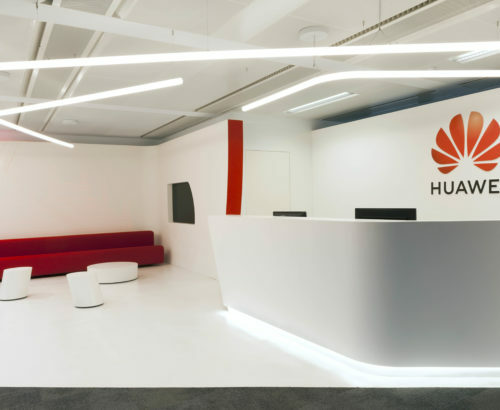 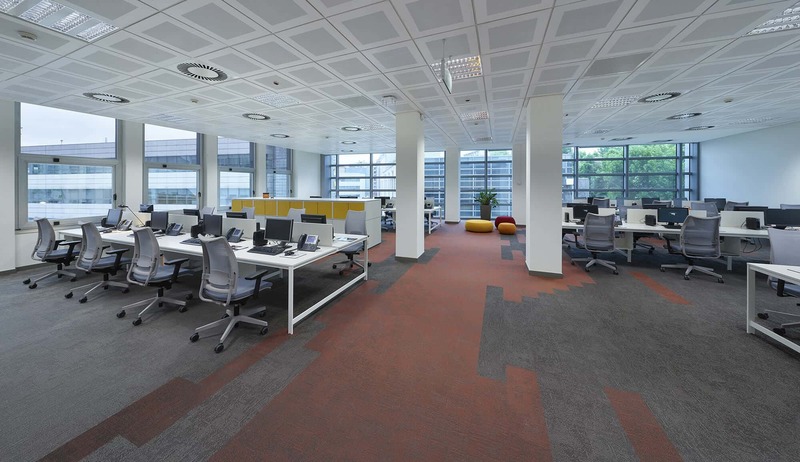 The new offices, featuring 150 workstations on 1700 sqm area, are characterized by the warm colours of Lease Plan corporate image. 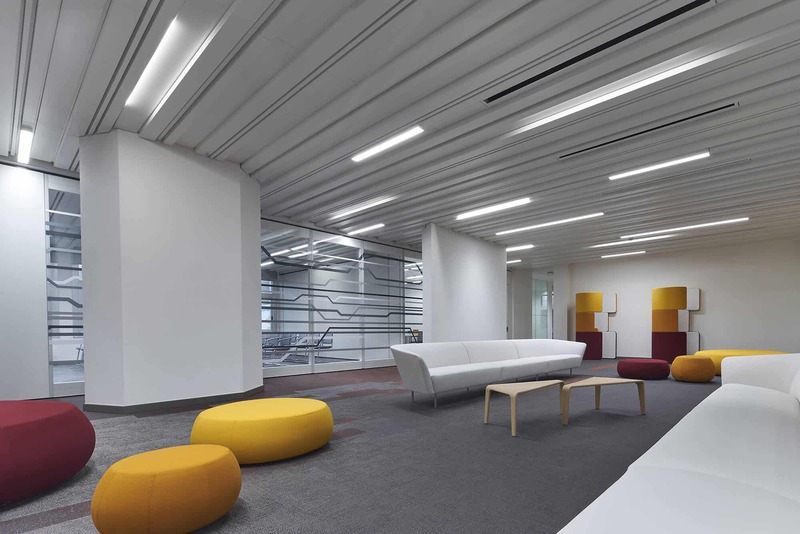 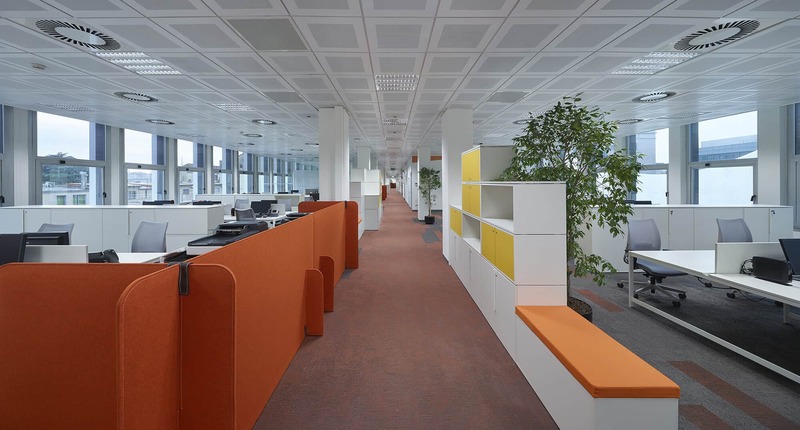 From a functional perspective, formal and informal spaces are mixed to promote a new working approach and to ensure adequate support to both social and mental activities, which are all parts of the everyday office life. 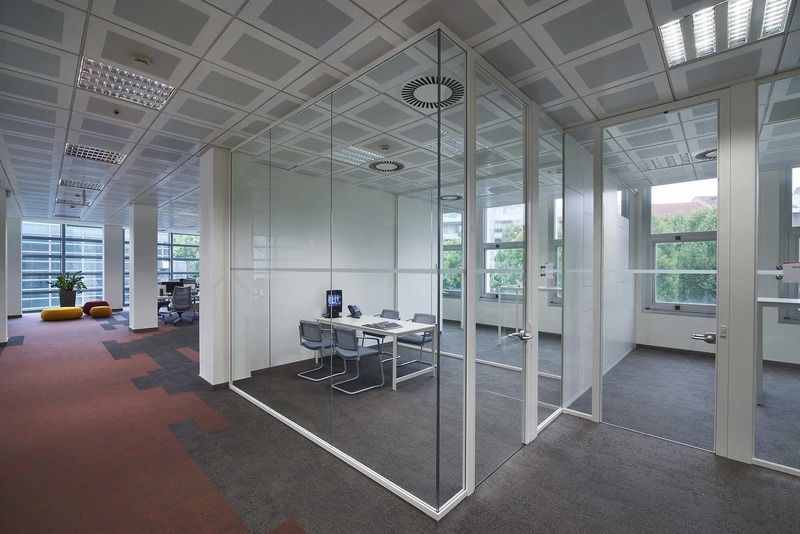 The project provided solutions to the operative needs of the Client. 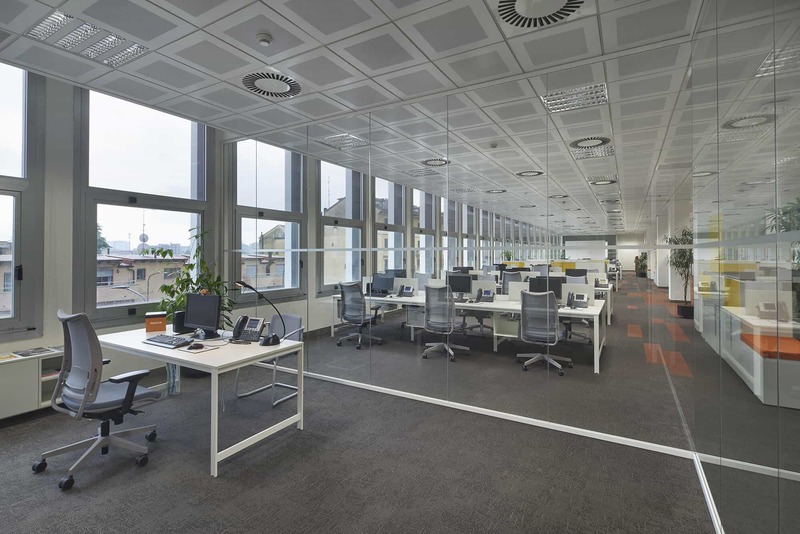 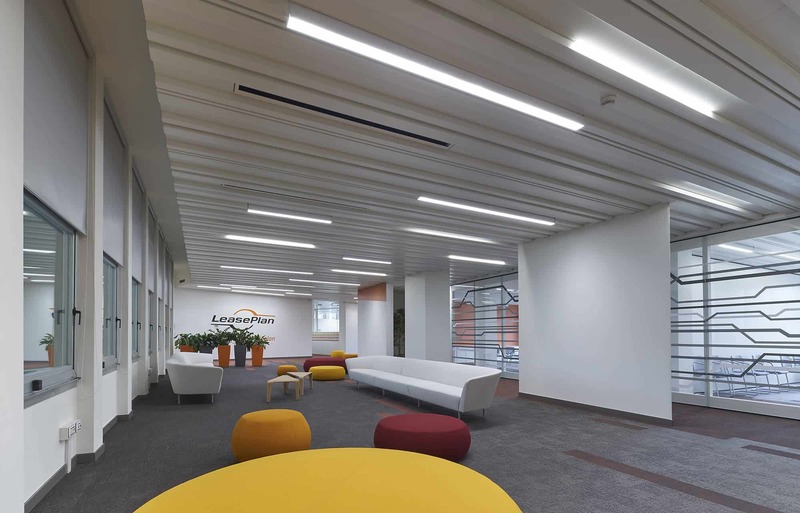 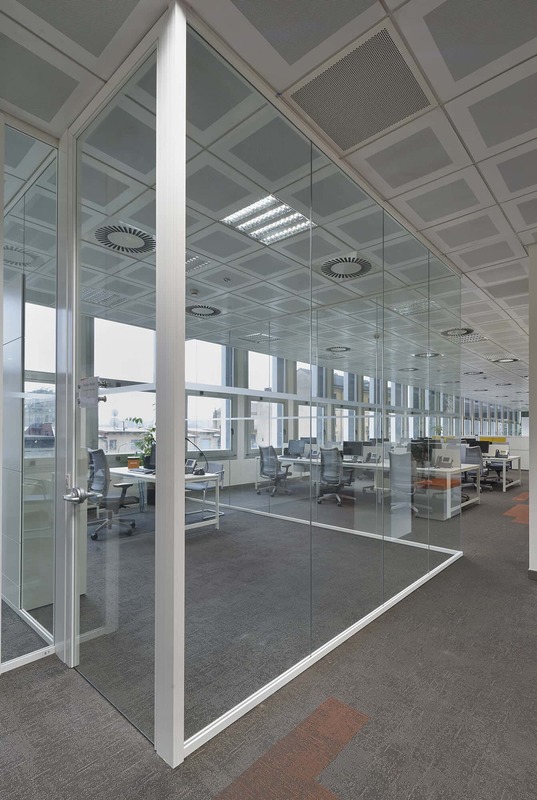 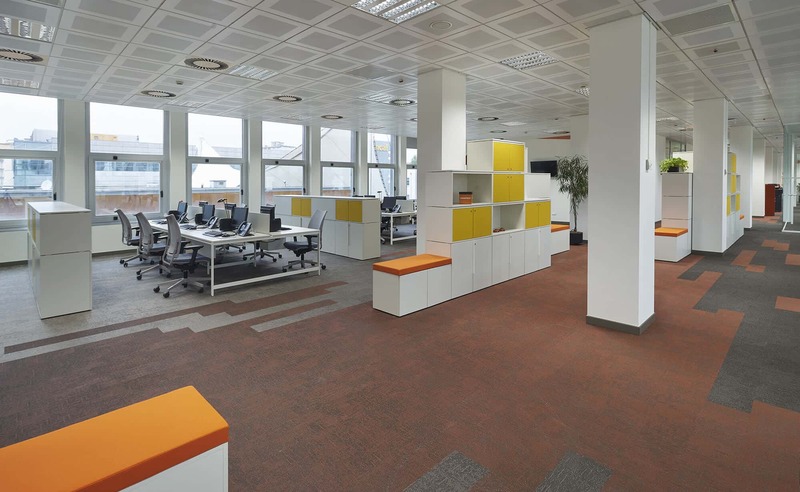 The layout of the new LeasePlan offices allows for cooperation and easiness, furniture is placed in a way to visually “break” the open space, guaranteeing flexibility in its use and easining internal circulation between work stations. 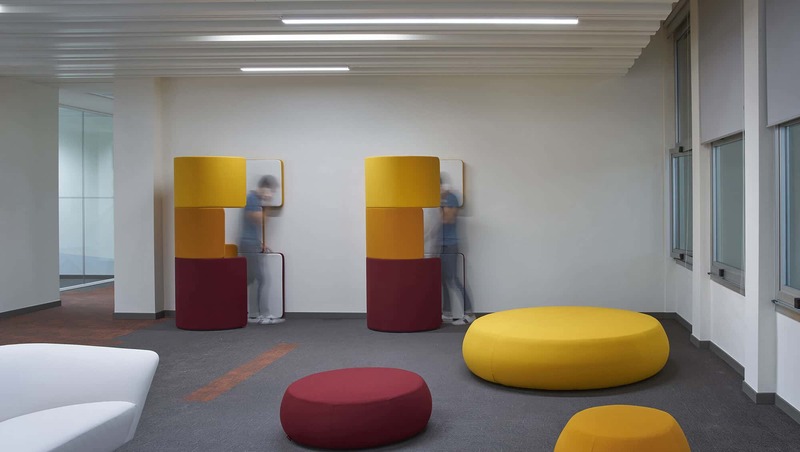 In addition, sound-absorbing panels and phone-booths assure acoustic comfort. 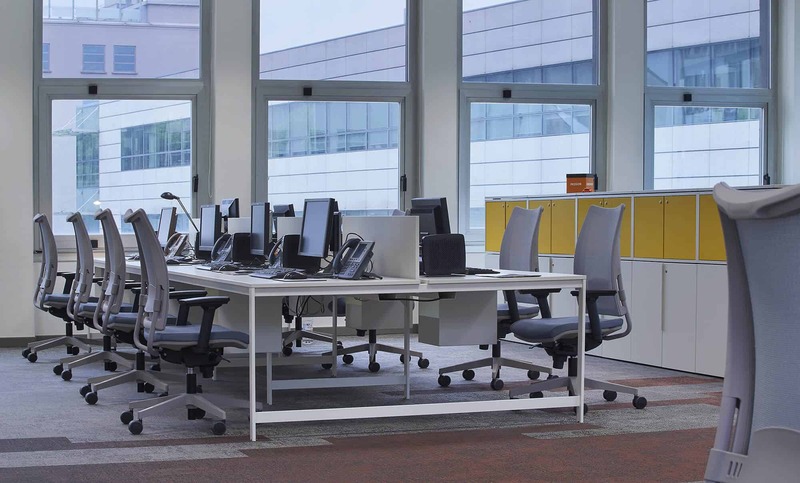 Meeting the Client’s need of a change in IT technology, desktops have been virtualized to enhance the flexibility among workstations. 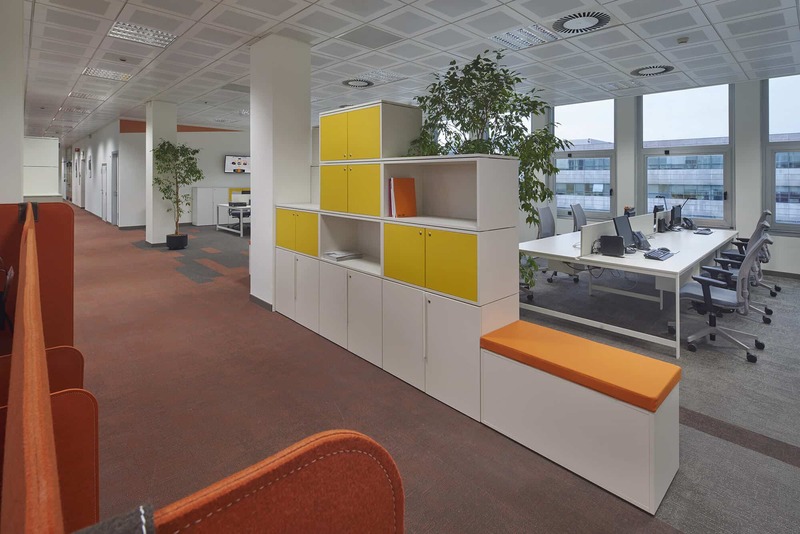 Moreover, applying the Smart Office concept, in line with the technology aspect, workstations’ drawers have been replaced with movable boxes which can be stored in the lockers located in the central area of the office. 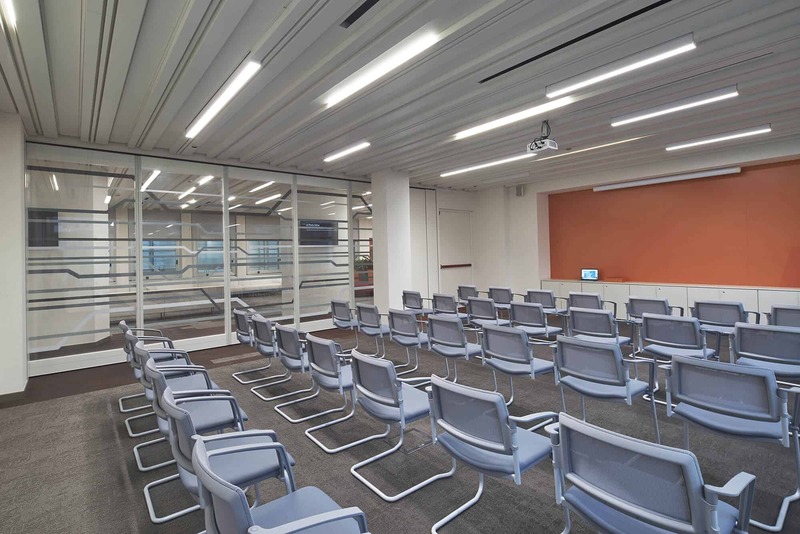 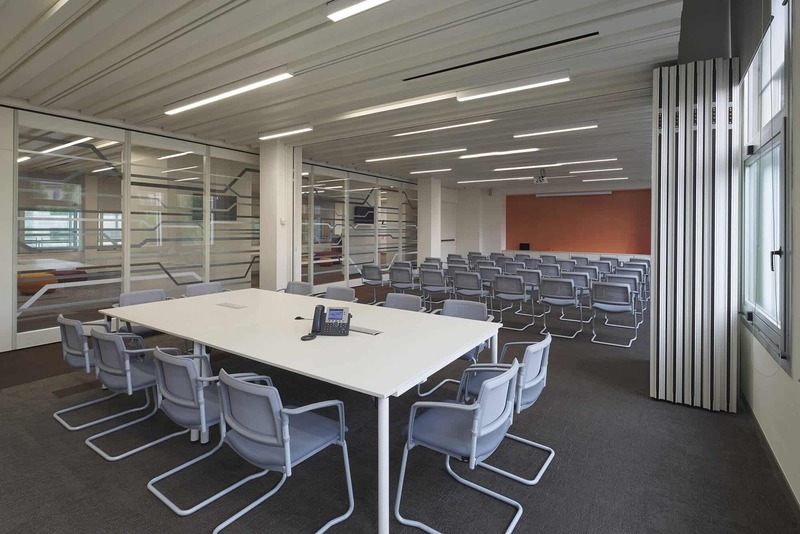 When meetings are held, space flexibility is made possible thanks to the four different configuration modes of the central core, achieved through mobile walls, and three meeting approaches among colleagues or with clients. 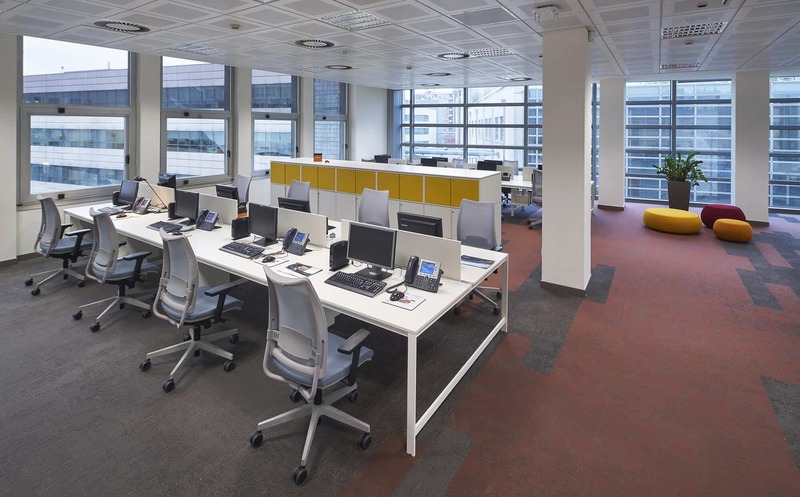 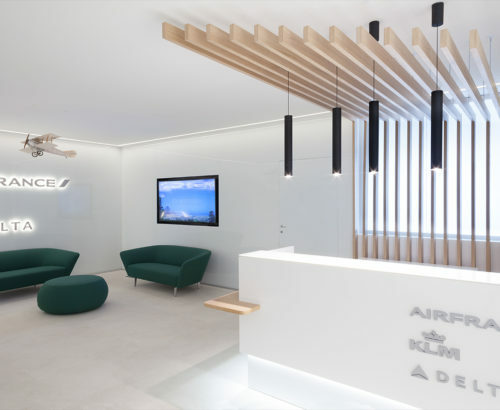 In addition, a kitchenette and a medical area integrate the services offered to the users, to ensure high quality environment and a pleasant stay in the office.